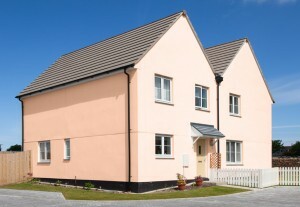 Since 1975, SecoFLEX coloured masonry paint has been used throughout Europe for protecting and freshening up homes and buildings in domestic and industrial environments. Today, SecoFLEX remains one of the most popular masonry paint choices for professional exterior house painters and here at Secotherm, we are not at all surprised! 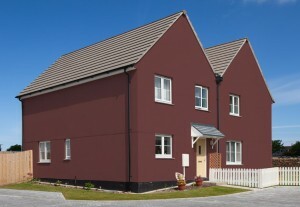 The unique coloured masonry paint guarantees a professional, flawless finish which will last for many years. With a SecoFLEX application, the days of spending money and time on maintaining your exterior walls becomes a thing of the past as the formula creates a protective barrier which protects the external surface from common defects such as algae growth, efflorescence and airborne pollution stains. SecoFLEX masonry paint offers complete protection against penetrative damp due to the coating being 100% waterproof! The formula is also breathable offering sufficient permeability to water vapour. Due to being 400% elastomeric, the masonry paint also provides properties with long term protection against unsightly pealing, flaking, cracking or blistering in hot or cold temperatures. For any professional masonry painter, this means that your work will maintain its high quality finish for a long time which in turn, will enhance your professional reputation! The high film thickness of the masonry paint also easily bridges even the most tedious cracks and imperfections, guaranteeing a consistently high quality coverage which instantly transforms the exterior of any property or structure. SecoFLEX masonry paint is also available in 12 fresh and bright colours, allowing homeowners to really personalise their property. You can view the colours currently available using our handy colour chooser. Finally, SecoFLEX masonry paint comes with a life expectancy of at least 20 years! The formula features a U.V. and alkali resistance and protection against sodium to ensure that the coating will not discolour over time, even on the darker shades available! To find out more about the complete range of benefits of choosing SecoFLEX masonry paint and to find out why it is regarded as the best masonry paint on the market today, click here! 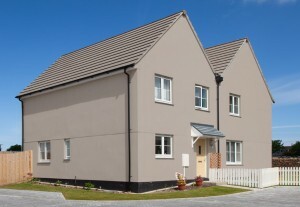 Find Out More About Our Masonry Paint Today! SecoFLEX coloured masonry paint has been available for over 35 years now and it is still a leading choice for both established and new professional masonry painters due to its many long term benefits. At Secotherm, we only supply SecoFLEX to approved applicators to ensure that our high standards are guaranteed with every application, to find out how you can become an approved applicator, click here. If you have any questions about our coloured masonry paint, then please do not hesitate to get in touch! Alternatively, you can also request a sample to see the amazing qualities for yourself!